Linking up with Andrea, Erika, and Narci For Friday Favourites. E's birthday is tomorrow, I did a birthday post about him yesterday. The theme for the party is Avengers/Superheroes and preparations are well underway. Q was sent home from school on Tuesday and had to stay home on Wednesday until he get a doctors' note to say he was fine. They suspected he had hand, foot, and mouth but the doctor didn't see any sign of it, so we are guessing the small rash on his face was just a rash. Anyway, clean bill of health, but in the meantime, he got up to some sick day shenanigans. My mom had just vacuumed, and then he came home, ripped up a few Kleenexes, and crushed some cracker crumbs around the floor and couch. Then on Wednesday morning he asked if we could watch a show before school (normally not allowed) but he specifically asked for Fixer Upper. He's tricky since he knows I like that show. Well it's not on at 7:30 am, but some other flip show was on so both boys were entertained. This memory came up in my Facebook this week. The photo was taken by one of the people in our group when we did the Inca Trail hike to Machu Picchu. Dave and I are in the pink and blue at the end of the table with our backs to the camera. What an experience that hike was, and I sort of forgot about the views like this one since this wasn't my photo. So grateful I was tagged in this photo so I could be reminded of it. I would be remiss if I didn't mention the death of Gord Downie and The Tragically Hip. 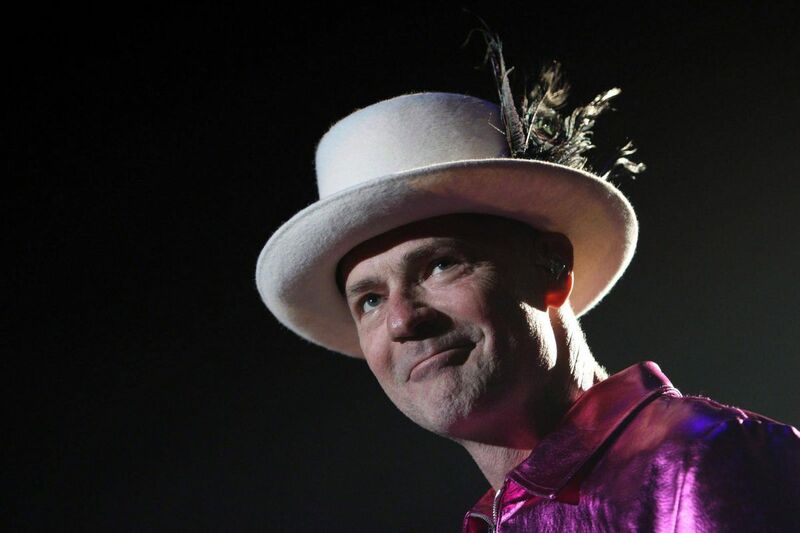 I have never been a big Hip fan, or so I thought, but over this past year and a half when we all knew Gord was dying and everyone was sharing their reflections, I realized that the Hip has been woven in the background of my life and that I have been enjoying their music for longer than I've thought. I love big moments about Canada, and this is one of them. I know some people find Justin Trudeau nauseating but I really think it is amazing that the leader of our nation openly wept on TV about the death of a singer of a band. When you contrast that to the United States, it highlights how special our country is. I saw a tweet that said "Canada is closed, there has been a death in the family". It's true for so many people. Another tweet I saw said that the Hip songs are not just songs, they are memories of loves, losses, and moments. The National's news coverage on Wednesday night and the obituary in the Globe and Mail were stellar.